Highly motivated community college students often focus on transferring to a four-year university to earn a traditional bachelor’s degree. But the community colleges are also a great place for talented students to learn a skill and then move directly into a job. Community colleges are more affordable than four-year schools and many private for-profit vocational schools. Despite the low cost, both to students and to taxpayers, community college courses are often just as rigorous or even better than their equivalents at other types of schools. Nevertheless, community colleges have had a difficult time over the years maintaining their vocational programs, which are now known as “career and technical education.” Courses have a hands-on component, and this can require lab space, equipment, and materials. This costs more than academic classroom education as it is currently delivered. Despite demand from students and employers, as the years pass, community colleges tend to cut more hands-on learning programs than they initiate. At the same time, the cost of books, tools, software, and computers, and other consumable materials has risen even faster than tuition. Students usually bear these costs themselves, and those with lower incomes can struggle to acquire the books and tools they need to get plenty of hands-on practice in class or extracurricular projects. Despite the loss of career and technical education programs, employer demand remains for middle-skills workers–those with more education than a high school diploma but less than a bachelor’s degree. One group of California employers, the Los Angeles Coalition for the Economy & Jobs, is funding Books & Tools pilot programs at Los Angeles Trade-Technical College and the Los Angeles Cleantech Incubator (LACI). The idea is to remove the cost of books and tools as a barrier on the pathway toward a technical job. 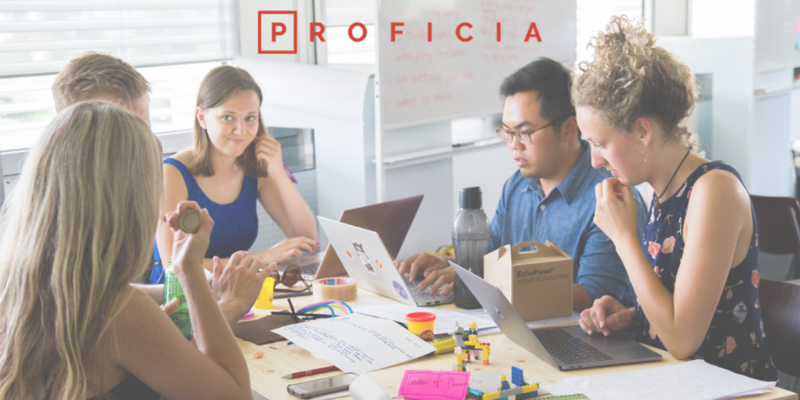 Proficia is partnering with LACI to deliver a STEM Portfolio-Building Program for ten community college students. The LA Coalition’s funding is giving the participants access to the Advanced Prototyping Center at the La Kretz Innovation Center, where the Proficia team is delivering training on electronics and embedded programming, Solidworks, and prototyping. We are also providing technical mentoring on their choice of portfolio projects and job goals. Together with LACI’s staff, we are connecting participants to project advisors in the industry and potential future employers. The LA Coalition’s funding is also covering the cost of materials for the participants’ projects. Hiring managers for technical jobs find it helpful to hear applicants describe specific projects they have built. Employers want to see that candidates can intelligently discuss the project, demonstrating that they actually understand the principles behind what they created. Even better if applicants can provide insight into how their project innovated on previous projects or contributed to the field. Thus the Portfolio-Building Program is not simply an opportunity for community college students to work with their hands. Proficia is guiding the participants to choose projects that challenge them to push beyond their current skills, appeal to the employers who interest them and illustrate scientific concepts. The STEM Portfolio-Building Program still has a few more places open for students. If you are interested in participating, please contact us for more information. What’s the future of tech jobs in Los Angeles?